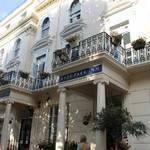 Finding where to stay in Bayswater on a budget is no problem. We have done the work for you. These places have either 2 star, 1star or no formal rating. They do however have an authentic guest rating. This allows you to tell how good the accommodation is, by what others think about it. These are sent in by you, the people who book and stay at the hotel and no others. Choose the hotel that suits your needs best with Hotels in London Ltd.
Nice backpackers, young traveller choice is this hostel within a short walk of Hyde Park, Bayswater and Queensway tube stations. Pleasant clean shared dormitory beds are available at great low prices. Placed within a short distance of Hyde Park and thus a short walk from Kensington Palace. The London Leisure Inn is ideal for your stay. 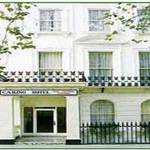 Our guests agree by coming back time and time again to one of the best value hotels in the heart of lively Bayswater. 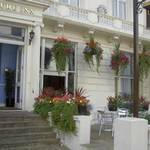 Our delightful establishment is well placed very close to Hyde Park and is easily accessible from Paddington Railway Station and Bayswater Tube. We have a delightful warming interior with stylishly decorated en-suite rooms for you to enjoy. 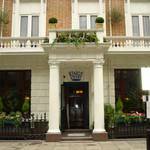 Located in the City of Westminster close to Queensway tube, the Kings is a quaint and charming establishment. Nestling in a peaceful terrace, we are basically a wonderful resting place for anyone who wants to combine the the pomp and splendour of Central London with the tranquillity and serenity of Kensington Gardens and Hyde Park. Located in picturesque surroundings, our beautiful Victorian apartments offers the very best in service and facilities. The family run establishment boasts 18 lovely rooms and a cosy and friendly atmosphere. We are ideally situated to enjoy all of the capitals sights and the area is served well by public transport. This is the ideal place for any visitor to this marvellous city. A prestigious location very close to the stunning views of the famous Hyde Park. The hotels highly desirable location benefits from easy access to Marble Arch, Oxford street and Kensington Palace. Convenient, good value, peaceful and affordable. This is an ideal place for any discount minded traveller to London. Situated close to the city centre, we are ideally located to explore London's fantastic sights. We offer 25 comfortable rooms, which are tastefully decorated and generously equipped. Our hotel is warm and friendly and makes guests feel relaxed and at ease. Fantastic local public transport makes travel around the capital easy. Situated in a peaceful location, we offer pleasant and affordable accommodation to all visitors. Ideally placed to allow you easy access of the city and all it's wonderful attractions, our friendly bed and breakfast offers 26 clean and comfortable rooms and a personal service designed to make you feel that you are in a home from home.